My aversion to soap operas probably began when I was a child visiting my grandparents’ house. We didn’t go often, mind, but this was a house where some of our British soaps were a mainstay of primetime viewing. Every time I went I found myself subjected to far more Crossroads or Coronation Street than should be inflicted on any child – at least without social services becoming involved. So when Joe Lidster, esteemed producer of the Big Finish Dark Shadows audios, first exhorted me to give the series a try (“oh, and by the way, how about buying these two CDs – only a tenner to you”) you’d have thought I’d take more convincing. But I’d somehow heard of the show before and despite my natural instincts toward soaps I kind of liked the “time-travelling vampire” premise so I decided to start at episode 1 and see where it took me. Now I’m no stranger to entertainment where ambition exceeds resources (I enjoy such British institutions as Doctor Who, Blake’s Seven and Bananarama after all) and so the early glacial pace and production wobbles didn’t put me off at all. Soon I found myself munching through episodes like popcorn, my rate increasing as the writers increasingly went for broke with ever more literary pillaging and a number of lead actors who could lift a scene simply by managing to be in shot. But of course, on one happy day, a wonderful thing happened: they paired Jonathan Frid with Grayson Hall. Obviously the series turned a corner when Barnabas popped out of the box, but for me it was only when Julia joined him on screen that the enjoyable melodrama was elevated to be the delicious concoction I now adore. All their sparring is a delight to watch but I think I fell truly in love when Julia lit her cigarette from one of Barnabas’ candles. It was such a simple character moment: calculatedly care-free, defiant and provocative. In short: so very Julia. My fate was sealed when Barnabas staked Tom Jennings to save his new best friend. One day I found myself raving to Joe about the line “you’ve saved my life so often that I don’t deserve thanks” – how touching and perfect it was, and how the writers had so cleverly turned their enmity into friendship. So perhaps it’s not entirely coincidental that soon after Joe asked if I wanted to pitch a Barnabas and Julia story for Big Finish and that later “Dark Shadows: The Curse of Shurafa” came into existence. Nor is it a surprise that very scene was in my thoughts as I wrote it. To cling to the coat-tails of Gordon Russell, Violet Welles, Sam Hall and others for just a short while was a massive privilege. To be honest, I’m still not able to believe my luck. But despite this unlikely development, what keeps me coming back to Dark Shadows is the scale of its ambition. Everyone involved is working toward a common goal: to create a story that will surprise and captivate. And captivate and surprise they do – even my jaded modern eyes can’t quite believe what they got away with. And the fact that they did makes me ridiculously happy. Dark Shadows has turned out to be an incredibly positive force in my life. Not only has my first work of fiction now been published but the show still holds a powerful fascination for me. On a dull, dispiriting day I can look at the Rectory scene between Angelique and Julia in episode 842 and all my troubles float away. Not even Revenge or Ugly Betty have seen so much shade thrown in one scene, which – frankly – is something of an achievement. 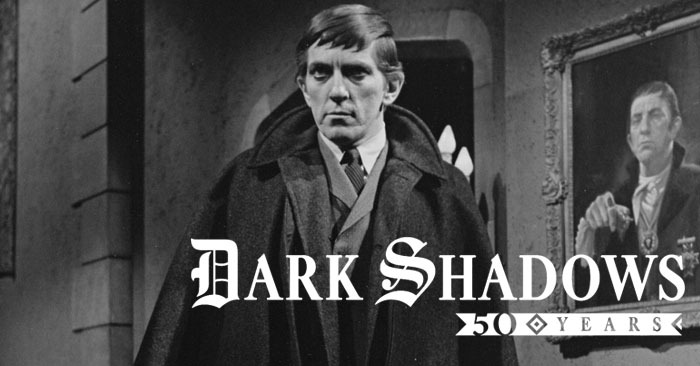 So, Happy Birthday Dark Shadows. You have enriched my life in so many ways and I think by now your magic is burned deep within my bones - and I, for one, pray it will never leave. 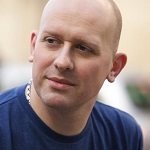 Rob Morris is the writer of Big Finish’s “Dark Shadows: The Curse of Shurafa” and is one of the writers of this year’s forthcoming thirteen-part serial “Dark Shadows: Bloodline”. He has also contributed articles to the book “1001 TV Shows You Must Watch Before You Die” (sadly he didn’t write the Dark Shadows entry, but at least there is one). He can be found on Twitter @lemonfreshrob.